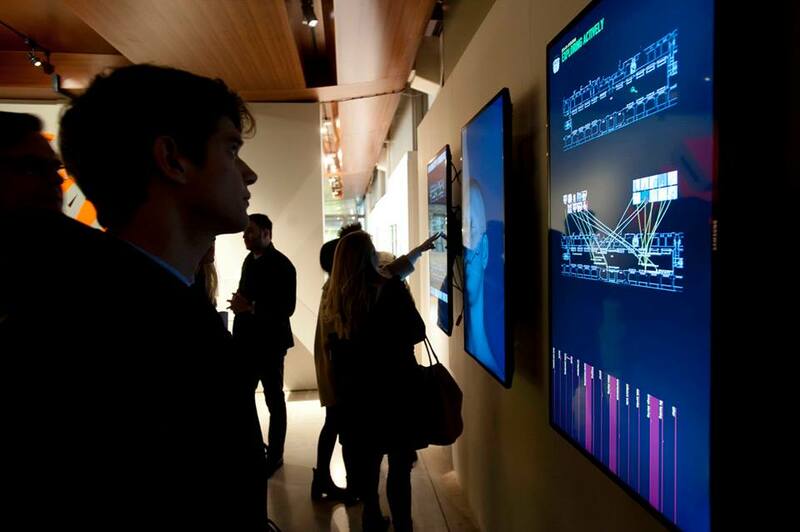 How to transform a cultural institution and a building into a data generator? We have turned the Somerset House in London into a data generator, in order to understand how people use cultural institution’s spaces, exploring strategies and tactics to manage the data we generate every day. 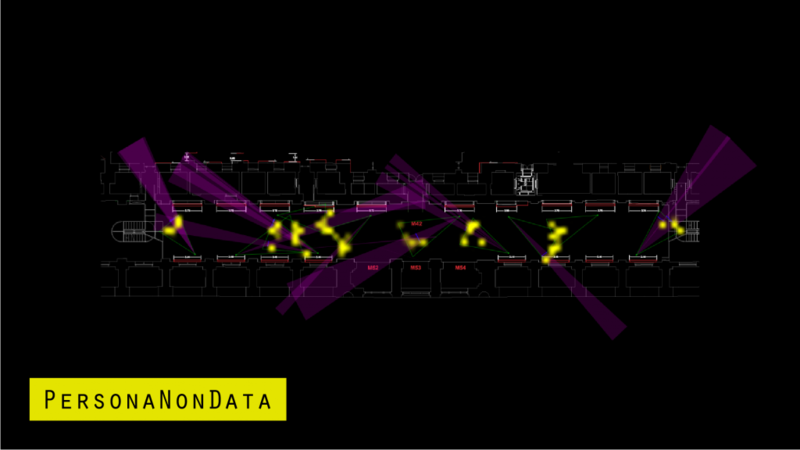 Persona Non Data aims to transforms cultural institutions and their buildings into data generators, enabling managers, researchers, artists, designers, students and visitors to experience, analyze and visualize the new data trough interactive architectural interfaces. 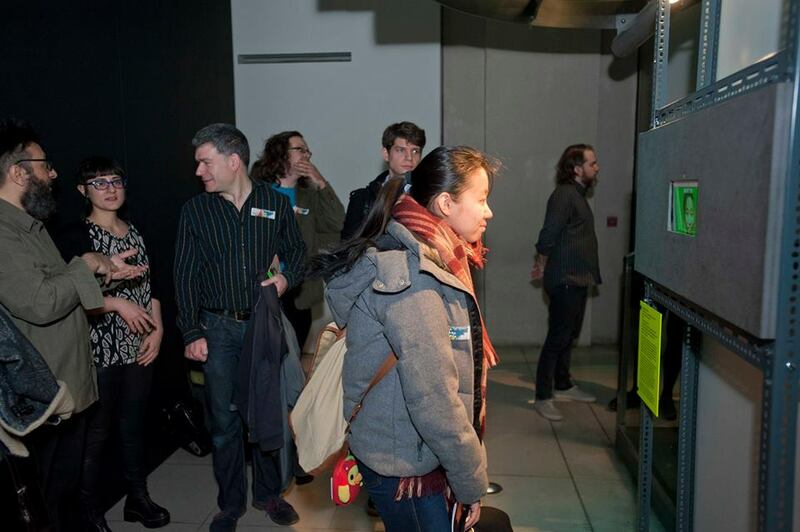 The project was sponsored by King’s College Cultural Institute, in partnership with Somerset House, the Digital Humanities Department del King’s College, under scientific supervision of Dr. Mark Coté, and the artistic direction of Art is Open Source. Images from closed circuit television cameras (CCTV) are analysed to detect presences, movements, pauses. Head counting systems and attendance management systems (badge) in order to trace movements from a space to another. Hotspot Wi-Fi to understand how people use Internet inside Institution buildings. Library database to find out the cultural consumption. Restaurant database to get consumers taste and so on. All the information are collected and are used to have a better comprehension of how we live spaces and represent them, and also to plan actions, intervention and to encourage a better use of spaces and resources. For designers, architects and planners, to better design spaces, using the information regarding people behaviour. 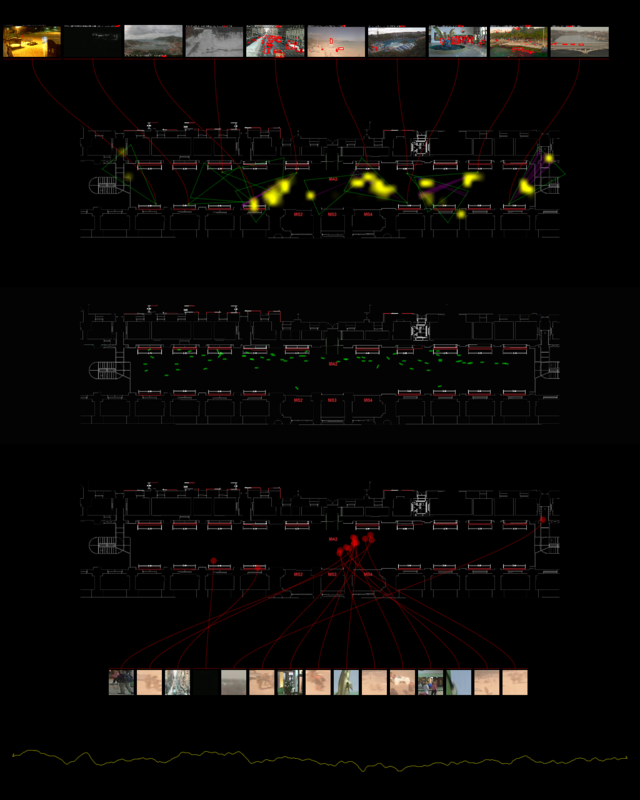 For artists, to realize visualizations, artworks and performative interventions able to react in real-time to spaces life and to people presence. For researchers, to study people behaviour and relation between initiatives and their impact. For all other people, to develop awareness regarding data and information that they generate visiting a public space; to understand how to protect their privacy, and also to figure out how to use these data to organize themselves, do things together and seize opportunities. 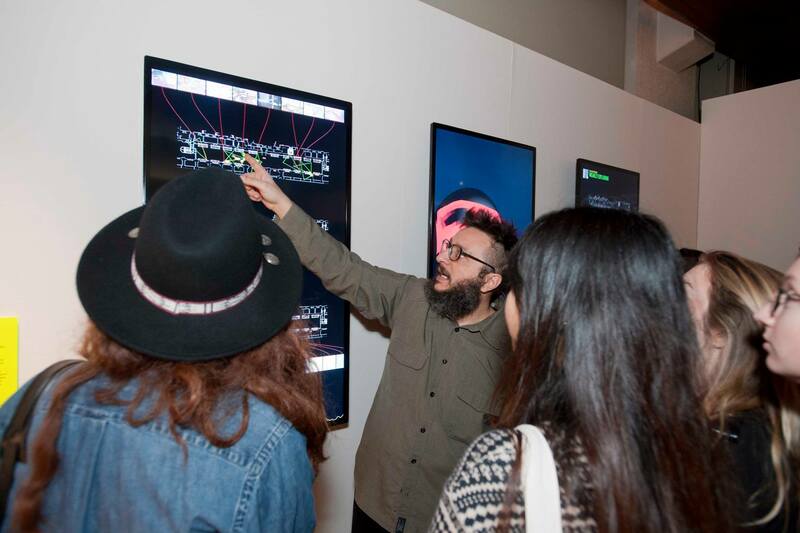 The Big Bang Data exhibitions took place at Somerset House from December 2015 to March 2016. 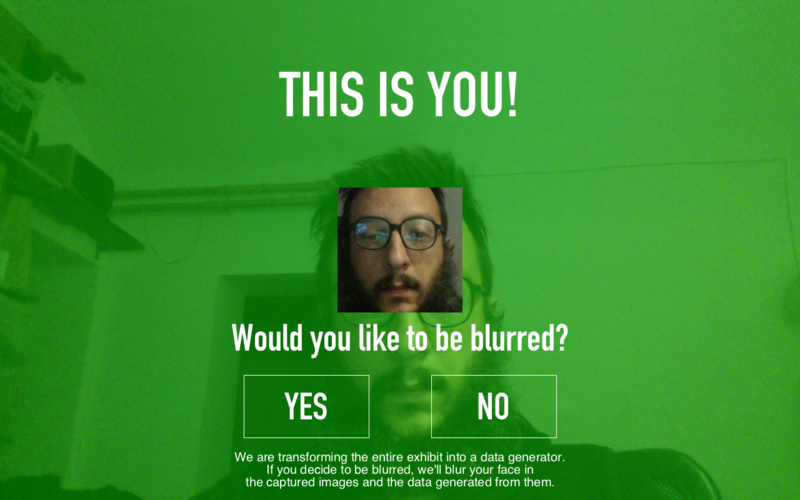 Persona non Data has been shown transforming the entire exposition into an additional element to gather data regarding people behaviour. 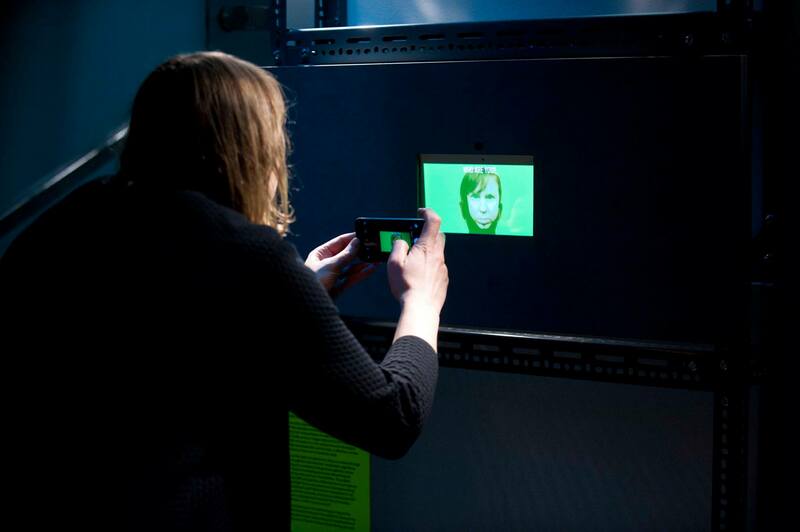 The exhibition has been the occasion to explore, along with visitors, the critical implications originated from the possibility to collect so many data from people behaviour (privacy, control society, algorithmic governmentality, filter bubble) and the ways to protect themselves.